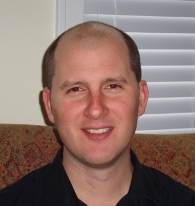 After earning his Ph.D. with Sidney Hecht at the University of Virginia in 2003, Dr. Christopher Claeboe joined the laboratory of David R. Williams at Indiana University for a post-doctoral fellowship that was focused upon the total synthesis of Peloruside A. In 2005, Dr. Claeboe began his industrial career as a process chemist with Albemarle Corporation, working at their Baton Rouge, LA facility. He then transferred to their South Haven, MI facility in 2008 where he currently resides. While responsible for the completion of a variety of interesting side projects for the company including the pursuit of his MBA through Indiana University, his work is centered upon the process development and scale-up of custom active pharmaceutical ingredients ().